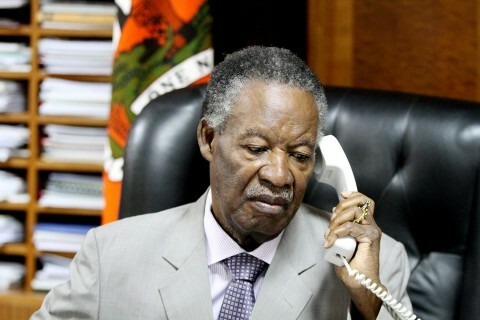 The question is not really about whether President Sata is sick or not. The question is about how the nation and its political players should conduct themselves in moments of alleged presidential illness. When a president falls ill, or rather when allegations of presidential illness become apparent, we as a people have some choices. Some of these choices are terribly hideous. The first choice is to use the illness of the president as an opportunity for political posturing or partisan cannibalism. The second choice is to deny and deny. And then deny some more. There is a better choice, however. A choice far better than these two choices: a more humane way of doing politics. The rivers of national sanity and morality have never dried up as to deny us the opportunity to be civil when reacting to the misfortunes of our fellow humans. There is a healthier manner of how we should handle difficult issues adjoining a presidential temporal incapacitation through illness. Political posturing is never in the best interest of the nation. 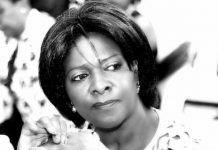 In fact, political posturing during rumoured presidential illnesses, has in the past, led to bitterness, angering hatred and obscene disappointment. 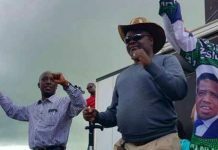 For example, during the many illnesses of Levy Patrick Mwanawasa (president from 2002 to 2008), a very verbose leader of the opposition at that time wasted no seconds in using Mwanawasa’s alleged illnesses as a ticket to scorn Levy’s government and leadership. 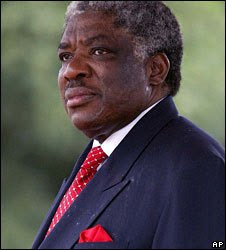 That same opposition leader mustered enough vigour to claim, quite undiplomatically, that when Mwanawasa was examined by doctors in India, “they found that there was no coordination between his brain and his mouth.” These were very harsh and discourteous words to come out of the mouth of an important leader of Zambia’s opposition at that time. What such sentiments went to prove was the unfortunate fact that taking such stances when a president is ill demolishes the good human spirit that should be resident in all of us during the misfortunes of others. 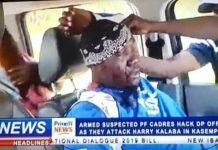 Now that there are plausible rumours of the current president being ill, it is incumbent upon us not to treat President Sata, the way a sick Mwanawasa was treated. As the saying goes, “two wrongs never make a right.” We can never triumph over evil using evil. 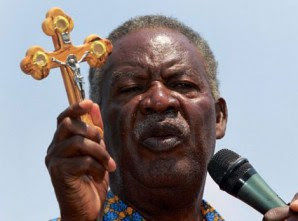 The best we all could offer during this very difficult time are the finest wishes, extravagant prayers and resilient hope for the full recuperation of President Sata so that he could find the strength he needs and the fortitude he requires to fix the many problems that our country is facing. Zambia currently has a currency that is dropping in value like a ball stumbling from Lebron James’ huge hands. The Kwacha has hit K7 000 (in real money) to the US dollar. Students at the Copperbelt University (CBU) have downed their brains until their meal allowances are increased by at least 45%. They are asking for Ba John Phiri to address them. Roads that were built linking Ndola to Kitwe have developed severe potholes days after the contractors handed over the keys to Hon. 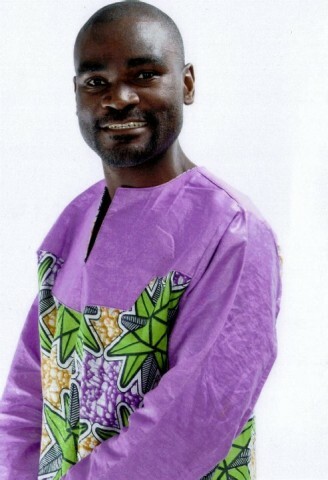 Yamfwa Mukanga. Rupiah Banda’s flagship project stadium originally named “disaster stadium” by Ba Chishimba Kambwili is falling apart even before it is officially commissioned. 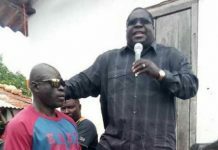 It is still not known when this official commissioning will take place considering that both Kambwili and his boss missed the Sunday expected launch day. Old and finished ZAF aircraft are now murdering our soldiers like roaches. Defence Minister Edgar Lungu spends more time mourning soldiers killed during peace than during war. Our national debt, being managed by Bo Alexander Chikwanda, is rapidly dashing towards pre-HIPC points. 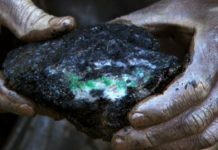 PF contracted Kaloba currently stands at $4.5 Billion. Honestly, it will require the steady fortitude of a very fit president to preside over the recovery of this country. That being the case, we all do very well to hope and pray that His Excellency recovers quickly, for great is his work and enormous are his challenges. Some of these economic challenges he created them himself. Fya kuiletelela fye. The other choice of handling the alleged illness of a president does not inspire confidence at all. Even when it is so notoriously obvious that vintu sivili bwino, it is sad that the PF government’s default response to citizens’ concerns over the health of the president is that of don’t kubeba. This is sad. But knowing the vulturistic nature of our politics, PF government is denying it because somehow they feel like the political vultures are already circling. That should not be the case. During this time, the government should genuinely share, with the citizens, the state of the health of the president. And from there, ask the nation to pray and hope for a quick recovery. Stating that the president has malaria or pneumonia should not be taboo for any government. It should not be a taboo topic, definitely, not in our times. In fact, even if the illness were very serious, it would still be in order for a government to inform the nation so that goodwill and prayers are offered in return. Our country has excellent doctors in all hospitals to help when called upon. Great Zambian hospitals such as UTH, Chainama, Ndola Central and Levy Mwanawasa can always send their best physicians to help. Denials are hardly the best policy. Denials become even more ridiculous when evidence, as seen on TV, pictures and face-to-face, shows a complete different story. There is a saying, that “she who hides her illness risks embarrassment in death”. A government should be proactive in communicating such hardships instead of being mischievously secretive. 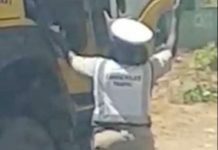 Zambia is a democracy. We cannot really completely eradicate the politics of opportunism during a trying moment like this one. Already, vultures in the ruling party are positioning themselves for a depraved feast at the slab of misfortune. A wake of vultures is ready. We have heard them in Mpulungu. They are loud and clear in Mufulira. The vultures have started to gather in committees. The wind is growing dark, and the energy is beginning to plunge. There at, perhaps, the allegations of the last breath, the queenmakers are rearranging their ugly seats casting lots and perhaps spreading bones. While we should not be surprised at this behaviour, we should nevertheless hope and pray that they do so in a humane form. There is still a way to transform vultures into doves. There is a way to redeem our politics from that of depravity to that of humanity. The government of Zambia should be forthcoming with information. This is the best way to lead and to keep vultures at bay. The people of Zambia should also be clear about showing their true humanity. This is the best way to be citizens. The constitution of Zambia should be respected and Cabinet should only act when there is clear evidence of incapacity. But for now, all of us should keep praying and hoping that our problems and the many challenges we face are taken care of in the most humane way. Pafwa abantu, pashala bantu.